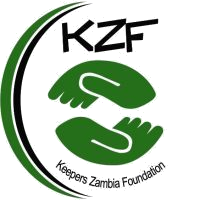 Keepers Zambia Foundation (KZF) was registered in January 1996 as a non–profit, non governmental organisation in response to increasing poverty levels and deprivation among peri – urban and rural based households of Zambia. Agriculture,Environment,Water, Sanitation and Hygiene and disaster risk reduction. Keepers Zambia Foundation(KZF) works to better the lives of economically and Socially disadvantaged people especially the Youth and women in the rural and peri-urban areas.